Project title: Developing a laboratory rearing technique for the endangered Poweshiek skipperling and assessing the feasibility of introduction into tall grass prairie habitats in Manitoba. Objectives: The Poweshiek skipperling (Oarisma poweshiek) is an Endangered butterfly species that is in critical danger of becoming extinct. Less than 500 individuals remain in the wild and the grasslands of southeastern Manitoba represent one of the species’ last strongholds. The species inhabits remnant patches of tall-grass prairie and in the past 10 years has greatly declined across its historical range. Working at both the Assiniboine Park Zoo in Winnipeg and the University of Winnipeg, the student will help develop laboratory rearing techniques and to determine the feasibility of reintroducing the Poweshiek skipperling into tall grass prairie sites where it has been extirpated or new potential prairie habitat. The student will study life history factors (such as mortality and survivorship of various development stages) and evaluate potential tall grass prairie sites for reintroduction. This study is in coordination with the University of Winnipeg, Assiniboine Park Zoo, and Nature Conservancy of Canada (NCC). See flyer for further details and how to apply. The Faculty of Agricultural and Food Sciences, University of Manitoba invites applications from Indigenous (e.g., First Nations, Métis, Inuit) Scholars for a tenure-track position at the rank of Assistant Professor, commencing July 1, 2017, or as soon as possible thereafter, in one of the following broad disciplines: Agricultural Business/Economics; Food/Nutritional Sciences; or Agricultural Production/Ecology. Identification of a specific Department (Agribusiness and Agricultural Economics, Animal Science, Biosystems Engineering, Entomology, Food Science, Human Nutritional Sciences, Plant Science, Soil Science) will be based on the area of specialty of the successful candidate. The position will be weighted at approximately 45% teaching, 40% research and 15% service/outreach. Qualified applicants must possess: a Ph.D. in a relevant discipline; a record of independent research as demonstrated by scholarly publications; the potential for developing an active externally-funded research program including supervision of graduate students; demonstrated ability or potential for excellence in undergraduate and graduate teaching; and excellent oral and written communication skills. The successful candidate will be required to teach undergraduate and graduate courses in their area of expertise with inclusion of Indigenous perspectives and approaches. We also envisage that the Scholar will work closely with other instructors to help include Indigenous knowledge and perspectives for all students. Closing date for applications is February 27, 2017. For more information & how to apply, see this flyer (PDF). The Department of Horticulture at Oregon State University seeks outstanding candidates for a full-time, nine month, tenure track position titled: Extension Specialist—Vegetable and Specialty Seed Crops. The position is based at the North Willamette Research and Extension Center (NWREC) located in Aurora, OR—about 90 minutes north of Corvallis, OR and Oregon State University’s main campus. The position is at the assistant professor rank. We seek an individual that will develop a regionally and nationally recognized, Extension outreach and research program in support of the fresh and processed vegetable and specialty seed crop industries. Extramural funding generated by the incumbent will help support this position and grow capacity. The appointment is 50% Extension, 30% research, 15% scholarship, and 5% service. Potential areas of emphasis could include, but are not limited to: pest management, irrigation, soil fertility and nutrient management, production science, food safety, marketing, environmental monitoring, technology and automation. The incumbent will be expected publish in peer-reviewed scientific journals and present at professional meetings. Also, the incumbent will be expected to work closely with other OSU faculty—on campus and off-campus who support vegetable and specialty seed crop research, teaching, Extension and outreach. See flyer for more details & how to apply. Deadline November 20, 2016. Aziz Sancar delivering his Nobel Lecture for his prize in Chemistry 2015. He said yes. My early morning wakeup on Wednesday, October 7, 2015 began as usual with a, though admittedly not healthy, quick Twitter check. My internet-induced squint widened when I saw that Aziz Sancar was trending. Dr. Sancar had just been named co-winner of the Nobel prize in chemistry for his work on DNA repair mechanisms. Not at all surprised by the recognition of his career achievements, I was, however, flabbergasted because I actually know Aziz Sancar and in no small way, my career is what it is because of his generosity and kindness. Twenty years ago, I was an MSc candidate studying the physiological ecology of amphibians at Trent University. At the time I was working with Michael Berrill on replicating and testing the findings of a 1994 PNAS paper by Andrew Blaustein and company. This was important work on declining amphibian populations in the Cascade Mountains. They found that these declining populations were characterised by low levels of a DNA repair enzyme called photolyase. This finding was intriguing because photolyase catalyses the repair of the principal form of damage to DNA from ultraviolet-b radiation. Because emerging ozone holes would result in natural populations experiencing an increased amount of UVB radiation, low levels of photolyase might be a “magic bullet” that explained which populations would be in decline in otherwise “pristine” areas. Intriguing, but I was actually not ready to test it. With a potent combination of naïve enthusiasm, I figured I could simply contact the authors of the paper and ask them to teach me the methods that I needed to know to further their work. I tried email but could not find an address on the department website. So I phoned the Department of Biochemistry at the University of North Carolina at Chapel Hill. They explained that Dr. Sancar did not want or have an email address. I asked that the call be connected to his office. When he picked up the phone, I leapt immediately into my explanation that I was an MSc student from Trent University in Peterborough, Canada, and that I was hoping to visit his lab to learn methods of photolyase extraction that I would apply to my system. To my now weathered academic amazement, but, at the time, only to my joy, immediately and without hesitation, he said yes. If I could get myself to Chapel Hill, he would teach me what I needed to know. Alex Smith with hair studying amphibian photolysase induction and concentration in the late 20th century. So on my spring break of 1997, I rented a car (two cars actually – one died, another story) and drove from snowy Peterpatch to the flowering springtime of Chapel Hill, North Carolina to spend a week in Dr. Sancar’s lab. “Lab” didn’t quite cover it. Dr.’s Sancar (he and his wife, Dr. Gendolyn Sancar) had a floor of the building at UNC. Dr. Sancar met me on that Monday morning and arranged for a postdoc and a PhD student to help me all week and ensure that I could extract and purify the enzyme. He even arranged for another lab to give me some African clawed frog eggs to practice on! He met with me every day to see how I was progressing and answer any questions. I remember him encouraging me to take in a UNC NCAA women’s basketball game while in Chapel Hill (Tar Heels! ), and I was very impressed that this academic superman was often watching soccer in his office when I arrived (the knockout phase of the UEFA Champions League, I think). A man of many interests! I left at the end of the week and proceeded to apply these methods successfully in my MSc. Three papers (Smith 2000, Smith et al 2000, and Smith et al 2002), eventually came from this project and one of the principal findings was that this enzymatic system could be induced in individuals from natural populations (previously not considered – and something that dramatically affects ones’ estimation of a populations’ photolyase level). In my paper I was very critical of previous research – and not surprisingly, the manuscript received quite harsh and negative reviews. I had never written a response to reviewer comments before, and I did not craft them elegantly or with appreciation. Dr. Sancar was the editor at the journal handling the submission. He phoned me to suggest how I might better word my response. Connecting the phone call alone was no easy feat considering I was living in my car at the time, couch-surfing amongst friends on the west coast of North America – I’m still not sure how he managed to find me. But the advice was priceless and likely not something I would have come to on my own (let’s say it was something along the lines of…“I can hear that you’re angry by these comments, and they are not elegant – but you can’t say what you’ve said. What you mean is this……..so try expressing it like this….”). I was so appreciative, and now 20 years later I’m not sure I expressed my gratitude sufficiently. And so, fast forward 20 years when I wake to read that the world has recognised Aziz Sancar for his pioneering work in the broad field of DNA repair. It made me think about the often unappreciated or unintended effects that saying yes can have on those around you. At the end of his Nobel Lecture in Sweden in December 2015, Dr. Sancar showed a slide acknowledging his lab and colleagues. In part, these people and their output are the metrics that the Nobel committee evaluated in awarding him the prize. It was an impressive, but I knew not an exhaustive, list, for Dr. Sancar’s direct effect on my career – and indirectly then on all the students I have worked with in the subsequent years – was invisible to the Nobel committee (and perhaps not even remembered by Dr. Sancar). But these effects are significant and they came from a busy scientist saying yes when confronted with a naïve but enthusiastic student. There were many reasons for him to not take my call, not encourage me to come to North Carolina, not host me while I was there nor mentor me through the review process later on. But he did. He did say yes and it had an immeasurable effect. 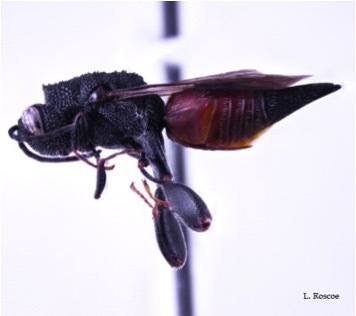 I now work with insects in the neotropics and Canada on questions of biodiversity. I don’t work with photolyase and I don’t work as a physiological ecologist. However, by saying yes to me 20 years ago, Dr. Sancar’s act of generosity enabled me to follow this path. In the over-scheduled and busy lifestyle that we lead, it is important to consider this ripple that saying yes can have. There are many intended and measurable outcomes of supervision and mentoring – however there are many, perhaps more, unintended and important effects that kindness can have. As Anne Galloway said on Twitter, “We’re all smart – distinguish yourself by being kind”. The Nobel committee judged Dr. Sancar’s academic output worthy of its highest award last year. They were likely unaware of the affect that he has had in other scientific disciplines through his generosity and kindness. I don’t think I said it clearly enough before. Thank you Dr. Sancar. Applications are invited for an MSc position to begin January or May of 2017. Research will examine the role of dung-breeding insects in pasture ecosystems in southern Alberta. This is a collaborative project between Agriculture & Agri-Food Canada (AAFC) and the University of Lethbridge (U. of L.), both based in Lethbridge, Alberta. The project will include insect surveys using dung-baited pitfall traps from May through September on native pastures in southern Alberta, Canada. The role of dung insect activity will be assessed for effects on dung degradation, soil nutrients and micro-fauna, and greenhouse gas emissions. 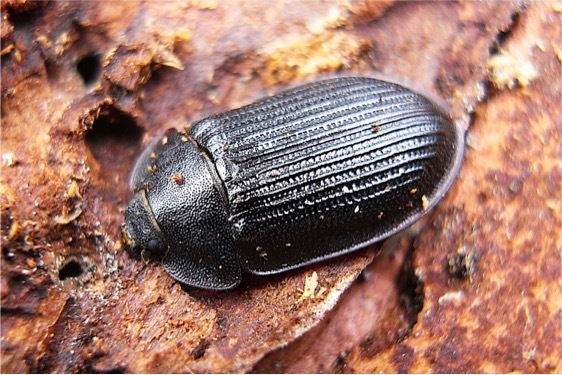 Dung beetles will be examined as potential vectors of parasites affecting livestock. The ideal applicant will have recently completed an undergraduate degree in biology or related program with courses in entomology and ecology. They will be enthusiastic, innovative, and have excellent communication skills (written, oral) in English. They must be able to work independently and as part of a team. They must have a valid driver’s license and meet the scholastic qualifications required for acceptance into Graduate Studies at the U. of L.
The successful applicant will be jointly supervised by Drs. Kevin Floate (AAFC) and Cam Goater (U. of L.). Under the supervision of Dr. Floate, the student will be based at the Lethbridge Research and Development Centre (AAFC), where they will perform the main body of their research. The Floate lab studies diverse aspects of insect community ecology with particular emphasis on prairie ecosystems (https://sites.google.com/site/dungins/homepage). Under the supervision of Dr. Goater, the student will be enrolled in an MSc program in the Department of Biological Sciences at the University of Lethbridge. Research in the dynamic Goater lab focuses on the ecology and evolution of host/parasite interactions, and on prairie biodiversity and conservation (http://scholar.ulethbridge.ca/cpg/home). Informal communication with Dr. Floate prior to application is encouraged. To apply, please send a cover letter detailing your fit to the position, a CV, a copy of your most recent transcripts, and the names and contact details of three referees to Dr. Kevin Floate (Kevin.Floate@agr.gc.ca). The deadline for application is November 1, 2016. 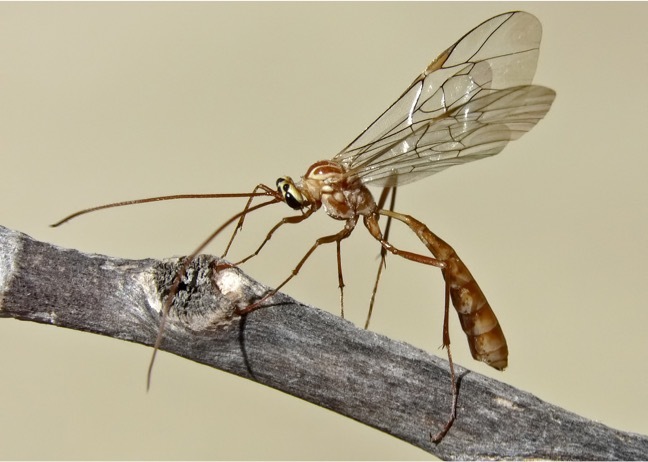 The Canadian Entomologist (TCE) regularly publishes special issues of manuscripts with a common theme that review or report significant findings of fundamental and (or) general entomological interest. Submissions currently are being solicited for two upcoming special issues. The first of these will be published in 2017 to celebrate the 40th anniversary of the Biological Survey of Canada (http://biologicalsurvey.ca/). It will be on the theme of “Terrestrial Arthropod Diversity in Canada: Celebrating 40 years of the Biological Survey of Canada”. In this context, “terrestrial” is defined to include upland, wetland and aquatic systems. If you wish to contribute to this special issue, please contact Dr. David Langor (david.langor@canada.ca) by October 1st, 2016. The second special issue will be published in 2018 to celebrate TCE’s 150th anniversary. It will include manuscripts that each will provide a historical overview on a different aspect of entomological research in Canada. The first six submissions accepted for publication will be given free access on TCE’s website. If you wish to contribute to this second special issue, please contact Dr. Kevin Floate (Kevin.Floate@agr.gc.ca) by December 1st, 2016. Proposals for special issues can be submitted at any time to TCE’s Editor-in-Chief. 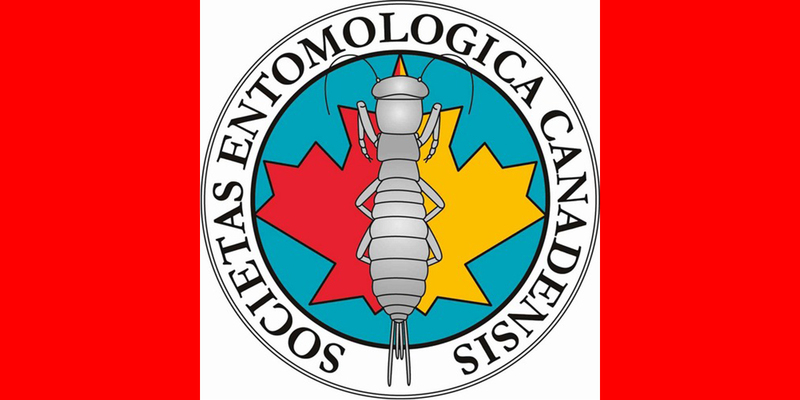 Proposals will be reviewed for suitability by the Publications Committee of the Entomological Society of Canada. Manuscripts submitted as part of a special issue are subject to the regular peer review process. There are no page charges. 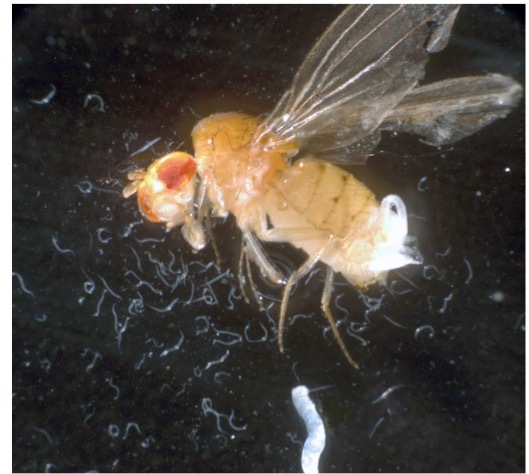 This is a Drosophila falleni fly infected by the nematode, Howardula aoronymphium, which Spiroplasma protects against. Photo credit: Finn Hamilton. Phasgonophora sulcata, an important parasitoid of the emerald ash borer. Photo credit: Lucas Roscoe. A saproxylic beetle, Peltis fraterna. Photo credit: Seung-Il Lee. 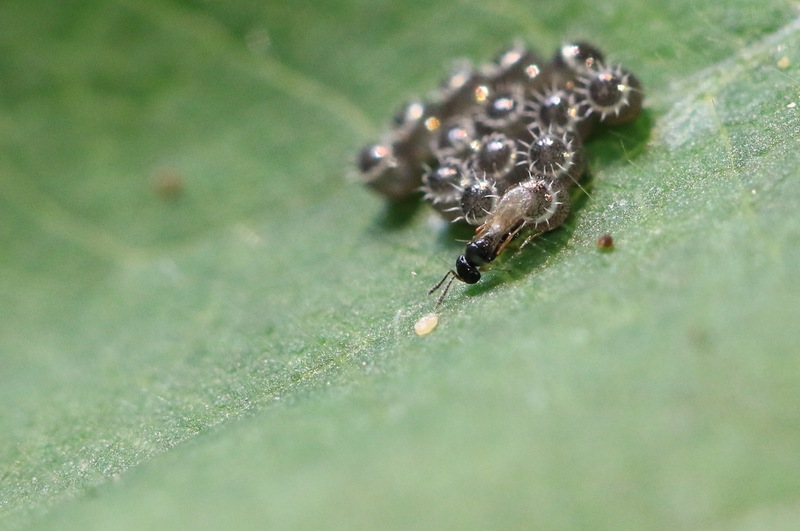 The parasitoid Telenomus podisi parasitizing eggs of the stink bug Podisus maculiventris. Photo credit: Leslie Abram. 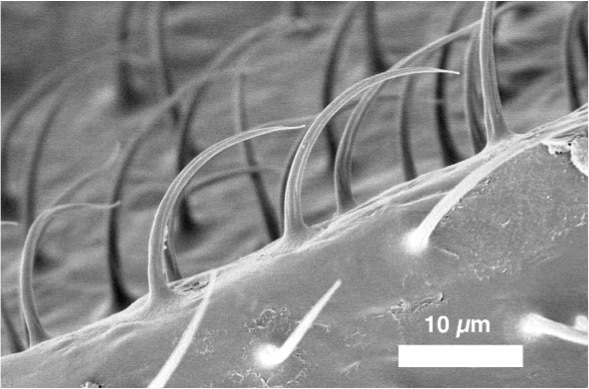 Hairs on a March fly (Penthetria heteroptera) wing. Photo credit: Delyle Polet. A Chilean male Xeromelissa rozeni. 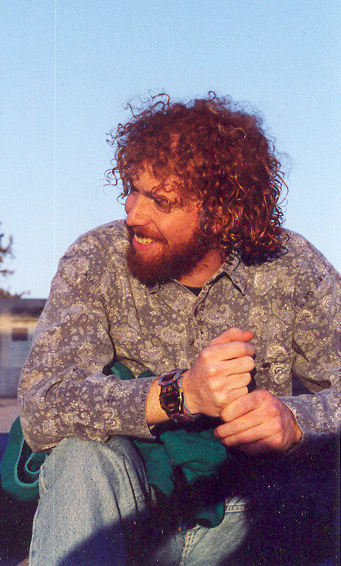 Photo credit: Margarita Miklasevskaja. We are continuing to help publicize graduate student publications to the wider entomological community through our Research Roundup. If you published an article recently and would like it featured, e-mail us at entsoccan.students@gmail.com. You can also send us photos and short descriptions of your research, to appear in a later edition of the research roundup. For regular updates on new Canadian entomological research, you can join the ESC Students Facebook page or follow us on Twitter @esc_students. Voici une mouche Drosophila falleni infecté par le nematode, Howardula aoronymphium, dont Spiroplasma la protège. Crédit phot: Finn Hamilton. Phasgonophora sulcata, un parasitoïde important de l’agrile du frêne. Crédit photo: Lucas Roscoe. Un coléoptère saproxylique, Peltis fraterna. Crédit photo: Seung-Il Lee. Le parasitoïde Telenomus podisi parasitisant les oeufs de la punaise Podisus maculiventris. Crédit photo: Leslie Abram. Poils sur l’aile d’un taon (Penthetria heteroptera). Crédit photo: Delyle Polet. 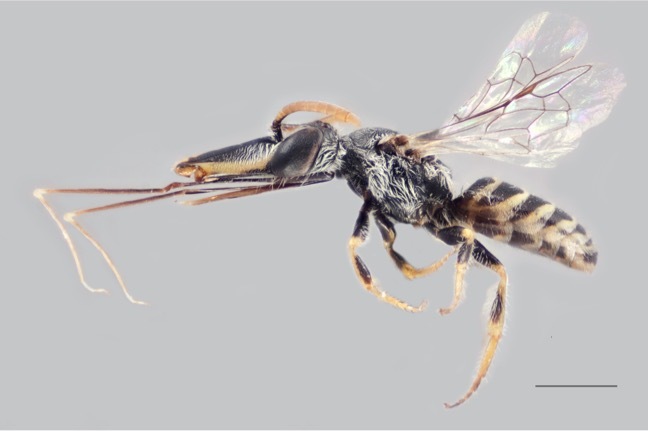 Un male Xeromelissa rozeni. Crédit photo: Margarita Miklasevskaja. Nous continuous à aider à divulguer les publications des étudiants de cycle supérieur à la plus vaste communauté entomologique grâce aux rassemblement de recherche. Si vous avez publié un article récemment et souhaitez le divulguer, envoyez-nous un email à entsoccan.students@gmail.com. Vous pouvez aussi nous envoyer des photos et une courte description de votre recherche dans le but apparaître dans notre prochain rassemblement de recherche. Pour des mises à jour régulières sur la nouvelle recherche entomologique canadienne, vous pouvez joindre la page Facebook de ESC Students ou nous suivre sur Twitter @esc_students (EN) ou @esc_students_fr (FR).